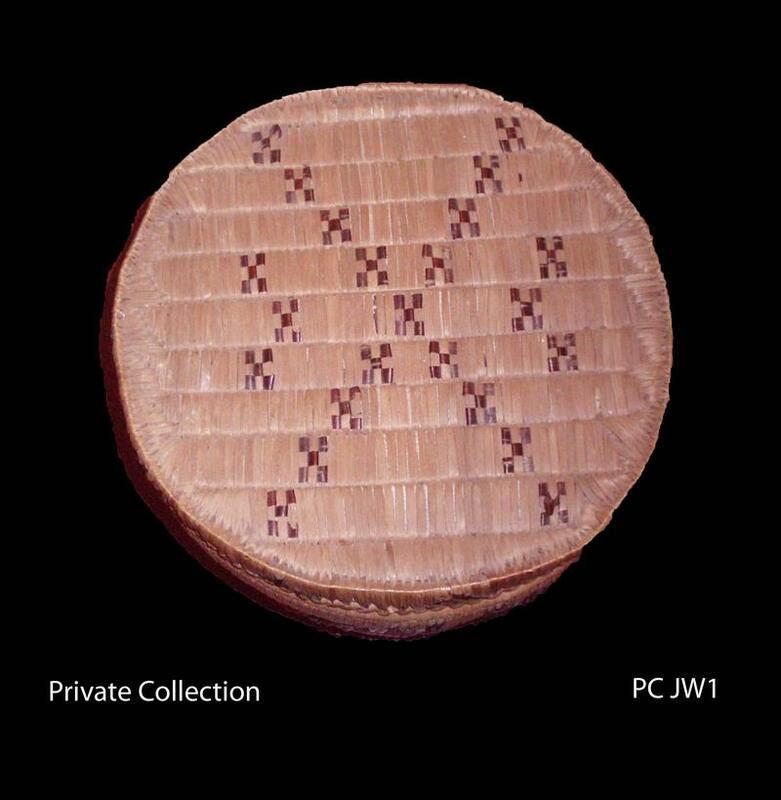 This basket was attributed to Louise Harry by Linda Hogarth, Curator of the Museum at Campbell River. 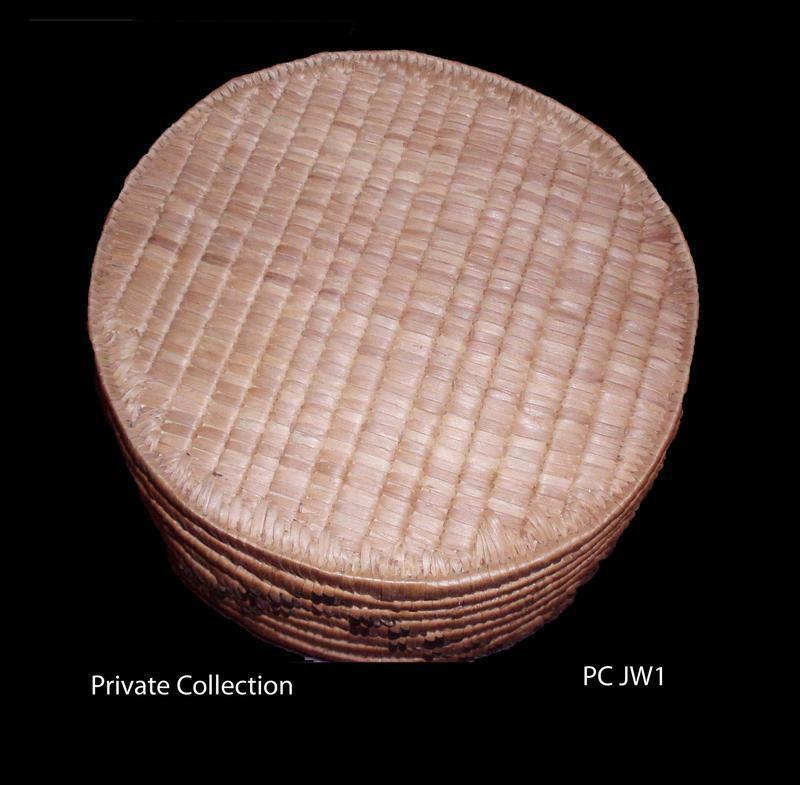 The attribution is based on a number of features including the unique split imbrication technique used on the basket walls, the choice of motifs and the construction of the basket base. 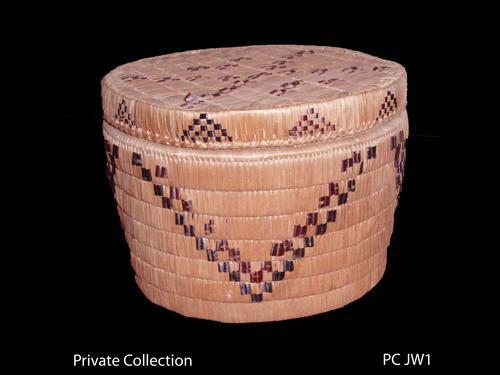 Large, lidded, slat coiled basket. 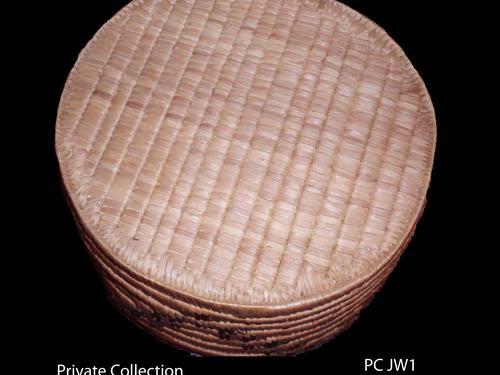 Cylindrical in shape with slightly flaring walls. 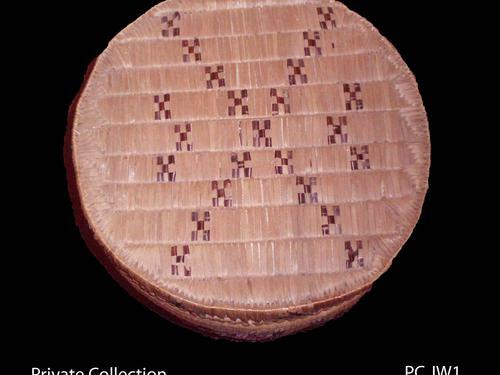 Primary decorative elements on basket wall applied using split imbrication. 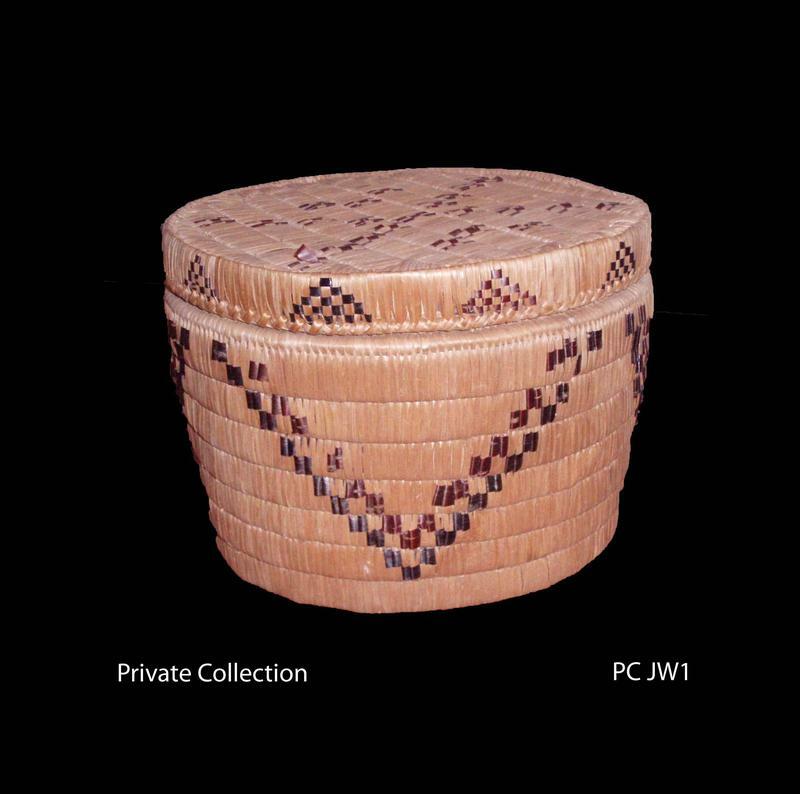 Designs on lid are beaded.